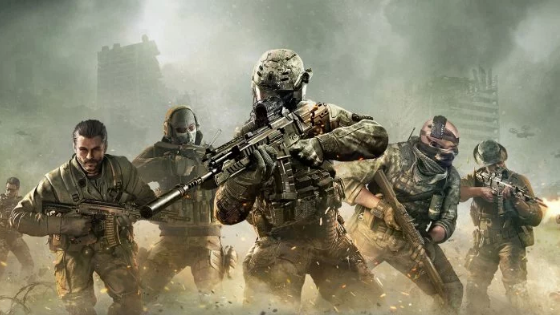 Activision will launch the first Call of Duty mobile game: it is an online multiplayer called Call of Duty: Mobile that will arrive this year for iPhone and Android. It is being developed by the Chinese Tencent, also responsible for PUBG Mobile. However, the new title should not bring a battle royale mode. During the GDC (Game Developer Conference), Activision announced that the beta test of Call of Duty: Mobile will be available soon in Europe, North America and South America. You can pre-register in the Play Store here. The first-person shooter maintains the look of the versions released for Xbox 360 and PS3, and promises to bring “fan favorite maps, competitive modes, weapons and classic characters from our franchise including Black Ops and Modern Warfare.” Activision mentions Nuketown, Hijacked and Crash maps. Call of Duty: Mobile will have combat between ten players or competitive 5-on-5 modes like Team Deathmatch and Search and Destroy. However, the company does not mention a potential battle royale mode with 100 players, which is present in the PC versions and console of Black Ops 4. The game will be free-to-play, but Activision has yet to comment on micro-transactions details, nor does it provide a launch forecast. You can check more details on the official website.